Far from the upstart little devices that homeowners once looked at with a lot of skepticism, tankless water heaters are becoming a lot more common. You can still choose between a traditional tank-style model and a tankless one that produces hot water as you need it. Both are readily available. But if you’ve toyed with the idea of making the switch to hot water on demand, here’s what you can expect. Tankless or on-demand water heaters never run out of hot water, at least in theory. Of course, there are limits. But in general, the design is such that when you turn on the tap, hot water is there as you need it for as long as you need it. 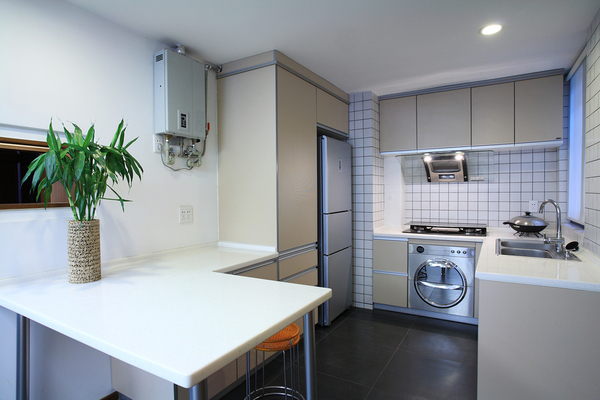 Tankless styles conserve energy, which can save you money. In a traditional tank-style water heater, 30 or more gallons of water are heated up to the setting that you prefer, then the insulated tank helps minimize heat loss. But once the tank cools to a certain level, as they all eventually do, the heating device, whether gas or electric, switches back on to reheat the water. Traditional water heaters heat and reheat the same water again and again until it’s used. With a tankless style, the only time you heat the water is when you turn on the tap. Although the claim is limitless hot water, any household that owns one can tell you that there are some shocking occasions when a blast of cold comes through the pipes. If you’re doing laundry, that’s not a big deal. If you’re taking a shower in February, you might be rather displeased. Thankfully, there is a workaround. With a supplementary mini tank of heated water, those cold shots are reduced or eliminated. Another potential problem is the need for more than one appliance or a larger one to handle the load. In busy households, a smaller tankless appliance probably won’t keep up. If your family uses a great deal of hot water all at once, such as in the mornings, a large, traditional-style water heater might be a better choice. Water waste and up-front costs round out the basic list of possible downsides. Unlike a traditional model, it takes a while for the water to heat up after the tap is turned on. So you might send a lot of cold water down the drain. And an on-demand water heater is usually more expensive than a traditional setup. Home Advisor says the average cost is about $1,500. Fortunately, the energy savings over the long haul helps make up for it. There are plenty of reasons to make the switch to a tankless style water heater. One of them is space conservation. Where a traditional tank-style appliance needs its own utility closet or a corner in a basement, tankless models are compact. You can install one almost anywhere. Longevity is another reason to go tankless. 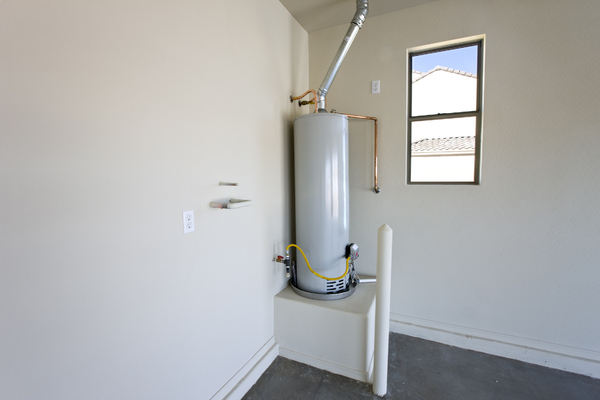 The average lifespan of an on-demand water heater is about 20 years, at least with proper care. Unlike traditional models, many of these require a routine system purge to eliminate mineral deposits that reduce water flow and efficiency. For some families, traditional is the way to go. And there’s nothing wrong with that decision. After the recent efficiency regulation updates, traditional models have more insulation and are designed to save more energy. Those updates also mean that the up-front costs are more comparable to tankless styles. So budget constraints might not be as much of a factor as they once were. As with all technology, tankless hot water improves all the time. The cold blasts that plagued some systems are easy to avoid now. But with some brands, you’ll need additional equipment to manage it. Cost was another reason to stick with the tank, but tanks don’t save as much as they used to. The primary benefit more and more comes down to energy savings. The right tankless setup saves money. But no matter which model you choose, Rodenhiser can install it in your home. Call us today to learn more about tank versus tankless.